Right now, life is filled with apparent endless activity all day–during this house renovation, we work with our contractor and sub-contractors, choose new lights, appliances, countertops and other necessary household sundries, schmooze with the town’s only (grumpy) building inspector, hold a lengthy meeting with the electrician, and work on the schedule of who-does-what-next and when-to-order-what. As “owner-builders,” we’re the general contractors on this project. Yet it is apparent to me that nothing is happening at all. Awareness, as always, is present and noticing. As always, there is no color, texture or other attribute that is findable–nothing to put a finger on and say “That! There it is!” Awareness has no opinions or even preferences, yet holds the space for opinions and preferences without comment. Apparent choices are made–yes to this, no to that, and maybe, can’t decide yet–and awareness is not touched. All the while, our real estate business is ongoing and quite active. Clients’ needs must be met in a timely manner. I deeply appreciate each client for their unique desires and perspectives. In fact, I love them–but that would not be appropriate to share. I want to serve them well. Yesterday, we finished our last task at 11 PM, and a phone call from the East coast came in at 7 AM this morning. It is amazing what can get done where there is no resistance–this, this, that, and now this, this, this. Meet it, greet it, welcome it, and serve. 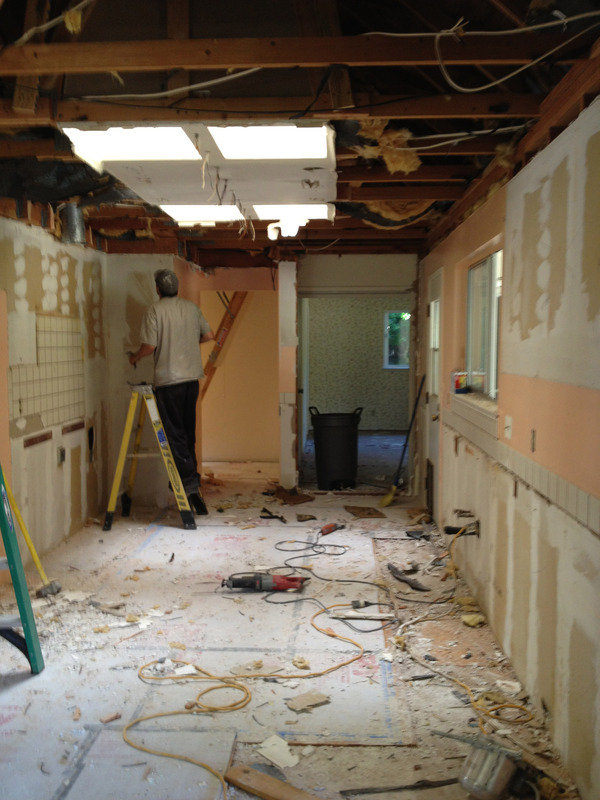 In a way, we are serving this home as well as our clients–loving it back to life. 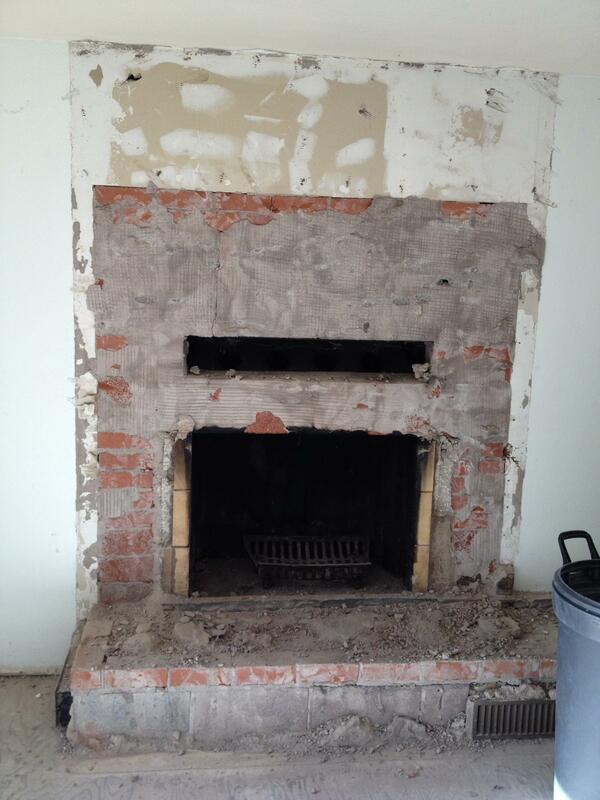 Today we solved the design challenges of the fireplace. Agreement on the slate tiles that will surround the fireplace showed up. Our Buddhist friend said yes to designing the wooden mantle–how beautiful to watch him bring the task into awareness. Awareness does simply this: nothing. No thing. Yet life continually unfolds. It is with love I accept the reminders of what simply is! One step at a time. I like the title, the down-to-earth telling, and the photographs, especially the fireplace in the midst of its exfoliating facial–oh my! Crop that image a little and you something reminiscent of a Rauschenberg–I love it! Thanks for your support and specific comments–helpful!